Strong indication has emerged suggesting that Ghana may soon become West Africa’s rice and cowpea producing hub following the development of nitrogen efficient rice and biological resistance cowpea by the Savanna Agricultural Research Institute and the Crop Research Institute of the Council for Scientific and Industrial Research (CSIR). 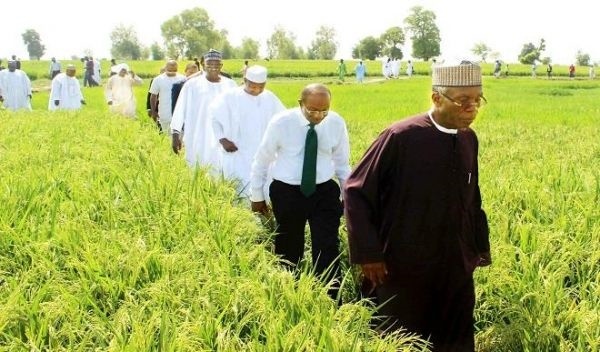 Analysts say Nigeria’s local rice production campaign driven by Central Bank of Nigeria’s (CBN) Anchor Borrowers Programme (ABP) may not be as sustainable as targeted because the productivity is not yet driven by research but mere government rush to become rice sufficient in record time. Business Hilights recalls that since the takeoff of rice revolution in Nigeria by the current administration, nothing had been heard on research report coming from any of the agro research institutions in the country. Besides, only last month, the founder of New All Progressive Congress (N-APC), Engr Buba Galadima, opened up in an interview on AIT TV monitored in Lagos, saying he is not aware that the Minister of Agriculture, Chief Audu Ogbeh, who he revealed as a graduate of French, ABU, Zaria and his school mate when he was studying engineering is yet to inform the presidency that virus attacks have ruined several rice farms in parts of the country which led to the approval of N60bn as compensation for rice farmers without finding solutions for the attacks. Several development experts had called on the government to divert some part of the fund to rice research so as to be updated in global rice development to avoid being helpless during attacks. Already, experts in Ghana say with the new seed coming from the research centres, the expected jump in rice and Cowpea production may help the country earn over GH¢8000 million annually if adopted. An economic assessment by the Forum for Agricultural Research in Africa (FARA) showed that the country stood to earn GH¢230 million annually if she adopted the nitrogen efficient rice as the crop was drought resistant and utilized its nitrogen from the atmosphere making it to do well. Dr Paul Boadu, Research Associate at FARA, who gave economic analysis of both crops, said “We observe that most of the rice produced in the country is lowland rice but due to climate change and effects of drought, they are not able to do well but the nitrogen efficient rice is actually a highland rice that does well in lowland areas as well,” Boadu revealed at the ongoing Agric Fair, which opened in Tamale on Friday ahead of this year’s National Farmers’ Day celebration planned for Friday, December 07, in the Northern Regional Capital.